After Samsung killed the original Bixby remap method, developers have been busy trying to figure out another work-around for your Galaxy S8 or S8+. Over the weekend, a bunch of apps surfaced that were indeed a work-around, though we’re not sure we would put a full recommendation behind any. I say that because most just seem to be apps that launch Bixby in order to call up another action, like Assistant or another app or your camera. And maybe that’s all you need! Either way, here are a few we did some short tests with. This seems to be the most polished of any that we tried. You open it, give it an Accessibility permission to “Monitor your actions,” turn it on, and then decide what you want the remap to do. You can choose from a variety of options, including Google Assistant, any app on your phone, the camera, notifications shade, etc. It does appear to be a service that needs to run at all times, so who knows what this will do to your battery. Also, do you want another accessibility service that needs to “monitor your actions” constantly running? You tell me. I did find bxActions to work the quickest over the two I’m about to highlight. As noted in the opening screen, BixBye is in an alpha state, so don’t expect the greatest experience for remapping Bixby in the history of the world. Like bxActions, it also requires Accessibility permissions, but along with “Monitor your actions” it needs to be able to “Perform gestures” too. 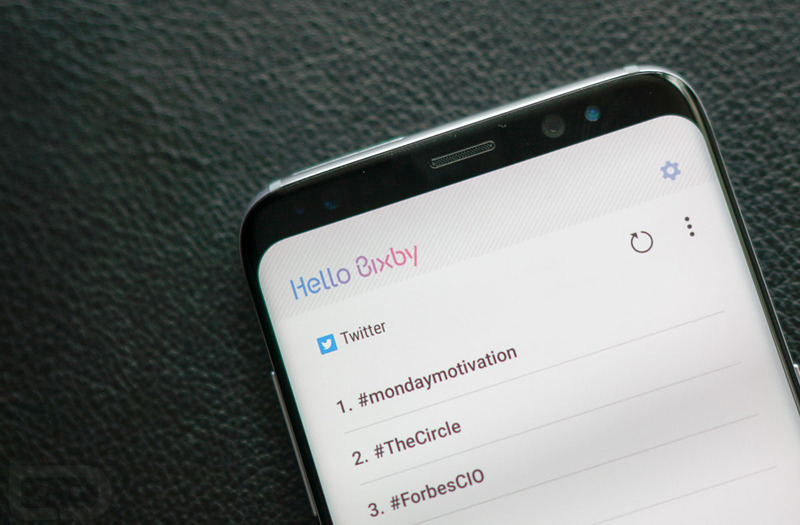 BixBye offers similar options for customization over the Bixby button, like Voice Assistant, app launching, notifications shade, etc. This particular app “relies on Bixby to function.” That means it reacts to Bixby. So when you open Bixby, it essentially listens for that action to then perform whatever custom option you chose. The first press may not be the quickest, as Bixby needs to get into memory, but from there forward for a while, your Bixby custom action should work fairly quickly. With BixRemap, you once again get a similar experience to the two above, but it doesn’t use Accessibility and instead monitors usage of other apps, from what I can tell. It appears to scan for Bixby usage so that it can then fire off whatever app you have remapped it to as Bixby loads. In fact, you can increase the “Scan interval” to hopefully speed up the remap, but as the app notes, this could decrease battery life. From within the app, once you have given it “Usage data access,” you’ll need to start the app and then choose an app to replace Bixby. Should you use any of these apps? I don’t know, to be honest. They all seem to require either a constant service running in the background of your phone to try and intercept Bixby opening or just need Bixby to launch in order to change the action to whatever you prefer. That means you’ll see Bixby open first in some situations before it completes your custom action. I’d just say that none are great solutions just yet, but could be at some point as developers continue work in this area. If you find any other solutions, let us know.